From the Ashes of My Sins' debut album. “From the Ashes of My Sins” is a melodic hard rock group from the suburbs of Washington, D.C. “Ashes” was founded in 2006 by drummer David Clark and singer/keyboardist Crystal Holton. The line-up and style was further refined in 2008 by the additions of the infamous Rob Short on bass and Justin Scrivener on guitar and mandolin. Each of the musicians involved in the project brings their own distinct style shaped from diverse musical influences. These varied musical backgrounds allow “Ashes” to blend elements of metal, punk, and progressive into a sound which runs the musical spectrum from energetic to haunting. When Crystal’s lyrical works and vocals are added to the mix, the final result is a unique musical experience which translates equally well through both recordings and live performances. 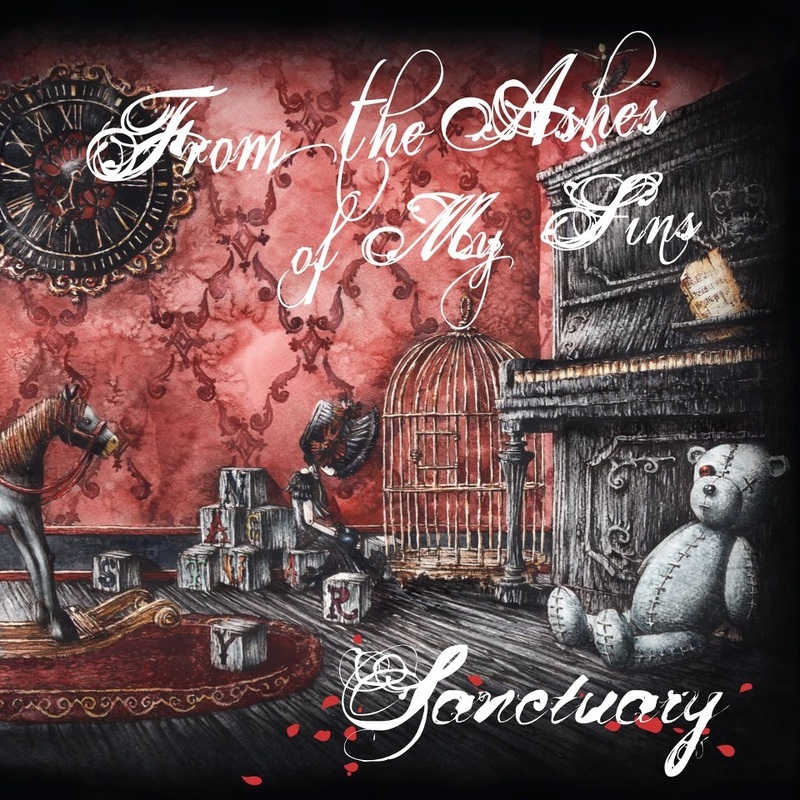 “From the Ashes of My Sins” just completed their first CD, “Sanctuary”, which is available on iTunes and other major download outlets. They regularly perform live at local venues, and have shared the stage with groups such as “Eluveitie”, “Epica”, and “Living Colour”.